For a disruptive product idea, getting the first-to-market advantage is often key to developing a strong first impression among your target customers. Audience perception early on goes a long way to ensuring that your product is a success. Therefore, if you are the originator of a unique startup solution to an existing market problem, it is crucial that potential early adopters see you as the original instead of a copycat product. In order for that to happen, you must be able to scale your product development fast enough so that you meet your launch deadlines. For a unique software product, finding the right resource is also a must so that they can build the right application infrastructure from the very beginning. But both of those requirements are easier said than done, as the availability of senior technical talent is a major issue for early stage tech startups in the U.S. Founders must look at other alternatives such as hiring remote or offshore talent in order to meet scalability demands. These engineers must be thoroughly vetted on their expertise in the latest development stacks, so that they can meet the added requirements of developing an entirely new application concept from scratch. For offshore talent, additional vetting is required so that there are no communication or perception barriers and the offshore engineers understand the project scope and founders’ vision that needs to be translated into the product development. In the past, disruptive startups such as Airbnb and Uber have scaled their product development and entered into new markets mainly by acquiring competition at later stages once they received enough funding. But with a changing and more saturated market, especially in tech hubs like Silicon Valley, founders must look for growth hacks in order to scale their development fast enough to meet launch deadlines. A truly disruptive product will sell itself, and therefore the focus of founders should be hiring the right team, product scalability, and new market expansion, in that particular order. A more recent example of a disruptive concept generating a lot of demand very quickly is that of Vytmn. A "growth as a service" startup, Vytmn gained early adopters at such a rapid rate that at one point they had difficulty keeping up with the on-boarding demand. For such an instance, startup founders must be able to preemptively anticipate demand and scale their development accordingly through extended teams if necessary. Having a properly vetted extended team at an offshore location directly managed by your onsite CTO can add a lot of value to your product development and scalability requirements. Make sure that your offshoring service partner provides all the necessary tools that an offshore development team must have in order to add value, and you are all set to leverage offshore staffing to deliver products faster to market. 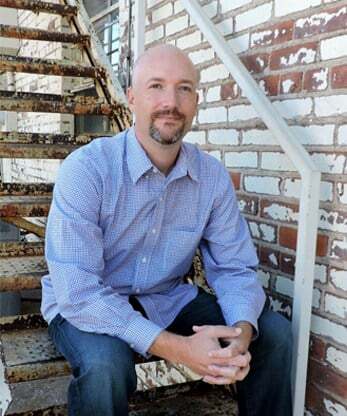 Randall Agee is the Chief Executive Officer and founder of Allshore Virtual Staffing, a remote staffing agency helping startups in the U.S. hire remote software engineers to work as full-time employees. Founded on Randall's personal experience with offshoring development, Allshore provides all technical and managerial support via our client services and technology mentorship teams based in Norman, Okla. Contact Allshore today to schedule a free consultation call with a remote staffing specialist or request a free trial of our services.